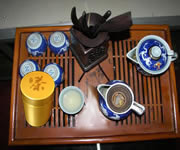 The production of white tea is very different to other teas. These leaves are dried and withered under the sunlight . If mechanical drying is required, the leaves are baked (not fired) at temperatures less that 103°F. These leaves, consisting of two leaves and a bud, show almost gray white color and, the fine grades are covered with velvet peach fuzz down, just like our Pai Mu Tan (Bai Mu Dan). Commonly known as White Hair Silver Needle or Da Bai Zhen in Chinese, this tea is originated from two counties, FuDing and ZhengHe, which are located in Northeastern parts of the FuJian province in China. 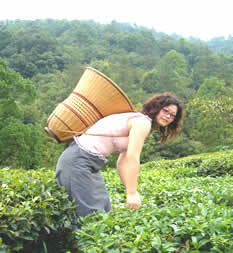 Amongst white teas, it is the most expensive variety and the most prized and the rarest spectacular within its brewing. Early in the spring, the individual leaf bud with one leave is picked and carefully handcrafted into this noteworthy tea. Traditionally, the plucks are laid in shallow baskets to wilt under the sun for about 80-90% dry, which is still the best production way now. It is recommended to Infuse in a glass in order to enjoy the dance of the leaf bud spears, now green. Each bud is covered with white downy hair and the tea is known for its buttery, sweetness and almond flavor. And also the tea is packed with antioxidants and low in caffeine. Produced mainly in Fujian, China, Pai Mu Tan (White Peony Tea) is not rolled prior to firing to prevent oxidation from occurring. This tea is characterized as weightless bold size leaves of mottled green that even before infusing give off a very pleasant perfume. White Tea is generally made from young shoots of the tea bush is named because of the appearance of whitish hairs found on the tea shoots. Its taste is delicate, complex, and naturally sweet with a bold yellow liquor. Pai Mu Tan, (White Peony Tea or Bai Mu Dan), is rare tea treasure and falls into white tea category. Fresh leaves pickled in the first few weeks in spring are simply aired and dried in natural sunlight. This tea is very slightly fermented and undergoes almost no transformation once harvested and merely withered. This tea leaf could be appreciated in its natural shape, for it remains just as it was when plucked from the bush-smooth and flowery. It is from the Fujian origin of China. 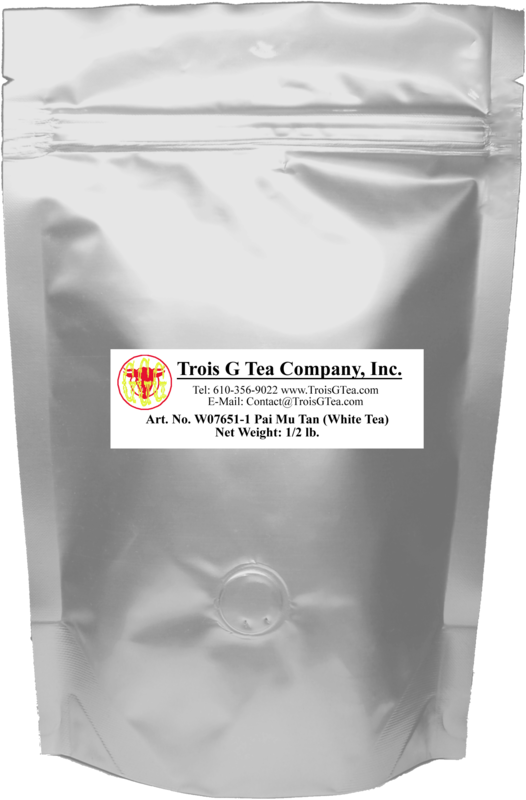 You can't go wrong with this exquisite representative of high-mountain Pai Mu Tan (White Tea).